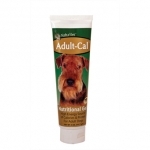 NaturVet&#39;s Adult-Cal Nutritional Gel tastes like a treat. 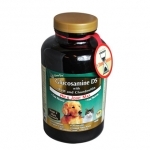 Formulated with Omega-6 and Omega-3 fatty acids, in a low volume form. A few tasty licks provide supplemental caloric and nutritional intake for your dog. A great way to bond with your pet is to give right from the finger. May also be given from a dish. NaturVet&#39;s Adult-CalNutritional Gel is made in the USA and has received the National Animal Supplement Council NASC Seal of Quality. 100% Money Back Guarantee! 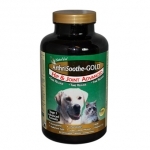 Time Release ArthriSoothe-GOLD Tablets, NaturVet's Advanced (Stage 3) Joint Formula, is veterinarian formulated and recommended to support healthy hip and joint function, maintain joint flexibility and alleviate aches and discomfort associated with exercise. NaturVet's Time Release Coprophagia Deterrent - Stops Stool Eating Tablets are veterinarian formulated and recommended to help deter dogs from consuming their own stools or other dogs stools if they are fed NaturVets Coprophagia Deterrent. 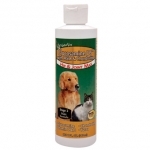 NaturVet's Cranberry Relief Powder is veterinarian formulated and recommended to help support and maintain a healthy urinary tract and immune system for dogs and cats. 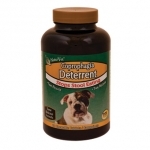 Your pet will love the tasty powder formula. NaturVet's Cranberry Relief Powder is made in the USA and has received the National Animal Supplement Council NASC Seal of Quality. 100% Money Back Guarantee! 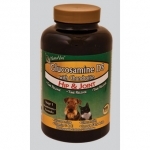 Time Release Glucosamine DS with Chondroitin Tablets, NaturVet's Maintenance (Stage 1) Joint Formula is veterinarian formulated and recommended to support healthy hip and joint function. 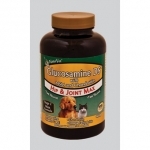 Time Release Glucosamine DS with MSM and Chondroitin Tablets, NaturVet's Max (Stage 2) Joint Formula is veterinarian formulated and recommended to support healthy hip and joint function. 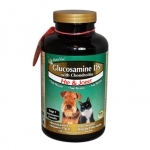 NaturVet's Glucosamine DS with MSM Liquid is a Veterinarian Formulated and recommended to support healthy hip and joint function. 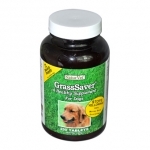 NaturVet's GrassSaver Tablets is a combination of vitamins, biotin, yucca, di-methionine, and essential amino acids. 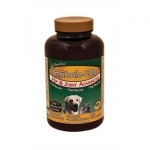 Feeding this combination of di-Methionine and vitamins to your dog will help to prevent dog urine from yellowing your lawn. Available in chewable tablets, tasty liquid, yummy biscuits and wafers. NaturVet's GrassSaver Tablets is made in the USA and has received the National Animal Supplement Council NASC Seal of Quality. 100% Money Back Guarantee! 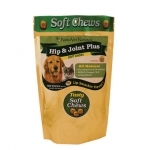 NaturVet Naturals Hip and Joint Plus Soft Chews are veterinarian formulated and recommended to support healthy hip and joint function. NaturVet's Omega Gel Caps help maintain proper skin moisture. 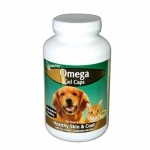 Omega 3, 6 and 9 Fatty Acids from fish oil aids in maintaining healthy skin and a glossy coat. Omega 3, 6 and 9 in an easy to feed, tasty gel cap. 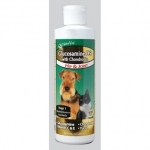 A concentrated source of EPA and DHA fatty acids help achieve a soft, silky coat. NaturVet's Omega Gel Caps are made in the USA and have received the National Animal Supplement Council NASC Seal of Quality. 100% Money Back Guarantee! 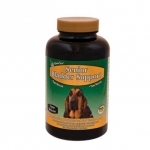 NaturVet's Senior Bladder Support Tablets is veterinarian formulated for senior dogs with Cranberry Extract to help support the immune system and Marshmallow Root which lubricates mucous membranes. 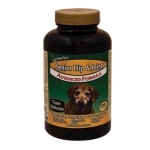 NaturVet's Senior Hip and Joint is recommended to provide senior dogs with the extra support needed for healthy aging and advanced hip and joint stages. Helps to maintain joint flexibility and alleviate aches and discomfort associated with daily exercise. NaturVet's Senior Hip and Joint is made in the USA and has received the National Animal Supplement Council NASC Seal of Quality. 100% Money Back Guarantee! 4 ounces of pure wild Alaskan salmon oil that promotes healthy skin and coat, helps to relieve dry, itchy skin, helps boost immune system. It&#39;s Omega-3 fatty acids support a healthy heart. It&#39;s the natural taste that both dogs and cats love! 16 ounces of pure wild Alaskan salmon oil that promotes healthy skin and coat, helps to relieve dry, itchy skin, helps boost immune system. It&#39;s Omega-3 fatty acids support a healthy heart. It&#39;s the natural taste that both dogs love! 8 ounces of pure wild Alaskan salmon oil that promotes healthy skin and coat, helps to relieve dry, itchy skin, helps boost immune system. It&#39;s Omega-3 fatty acids support a healthy heart. It&#39;s the natural taste that cats love!